Our Microsoft Office training Bracknell will increase YOUR productivity – guaranteed! Are you struggling to make the best use of Microsoft Office? We offer Microsoft Office training Bracknell and consultancy within the Bracknell area and beyond. We come to you at your offices. Our Microsoft Office training courses can all be tailored to meet the needs of the individual or company. We can also use the files used in the company instead of generic training files. This makes the learning more relevant. Productivity is quickly increased. Our trainers all have much experience. 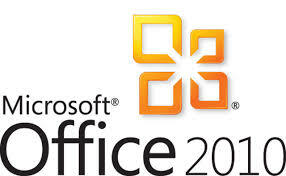 They have many years of providing Microsoft Office training and consultancy. We also offer Microsoft Office upgrade training, workshops and floorwalking for those moving to Microsoft Office 2013, Microsoft Office 365 or Microsoft Office 2016. We will work with you to work out the best solution for your company. Visit our blog If Only I’d Known That. We have called it that because we hear it so many times in training. In fact, if only we had an extra £100 for every time someone says “If only I’d known that.” …. Prices are PER DAY, and NOT per-person! E.g. if there’s 5 people on the course, you pay £595. All prices exclude VAT. We also offer training in other Microsoft products such as Microsoft Project training Bracknell, Microsoft Visio, Crystal Reports, QuickBooks, SharePoint, SQL, etc. We also offer Professional Development training in topics such as Project Management training Bracknell.